Hon. Kyagulanyi Ssentamu alias Bobi Wine says he can beat President Museveni hands down in an election. (FILE PHOTO). 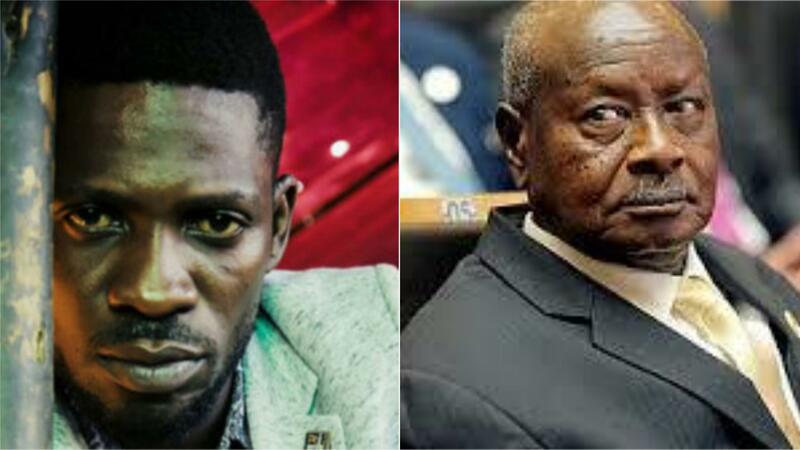 MAGERE – Kyandondo East MP Robert Kyagulanyi aka Bobi Wine has said President Museveni no longer commands a big following in the country and he can defeat him in an election. Speaking in an interview with the Observer newspaper, Bobi Wine said that the time of using guns in Uganda to take over power no longer applies. “I deeply believe it with all my heart and soul. Democracy is not a farce, but real. I know people power is not just a slogan but an assertion. I know that these people are capable of doing everything. These people took a dangerous path to bring Museveni to power. He convinced them to pick up guns and fight but we are telling these people that we can change our destiny without shedding blood,” he said. The Kyandondo East MP said as a believer in democracy, he will not be cowed into forfeiting his human rights. “Democracy is the only internationally accepted means of changing government. It is the only option; I repeat, the only option. Any leader who tells you not to believe in democracy aims at enslaving you. You have that power; nobody is going to give it to you. You only have to be sensitized to be able to use that power to your advantage by waking up peacefully and get that ID, then when the time comes go and vote,” he said. Bobi Wine added that with the young population the biggest in the country, there is no way he can lose an election. “We the young people are over 80 per cent of our population; these are the same people who didn’t want the constitution to be changed,” he said. He added that he has never believed in violence.